Disclosure: We received complimentary products and services from Massage Envy for this post. All opinions are our own. Read through this entire post to see how you can win one full hour of your choosing: Massage, Facial, or Stretch with Massage Envy Urbana! Recently Terri and I were contacted by Bess Burnett, owner of the brand new Massage Envy in Urbana, Maryland. Bess asked us if we would like complimentary massages and facials in exchange for an honest review of Massage Envy. 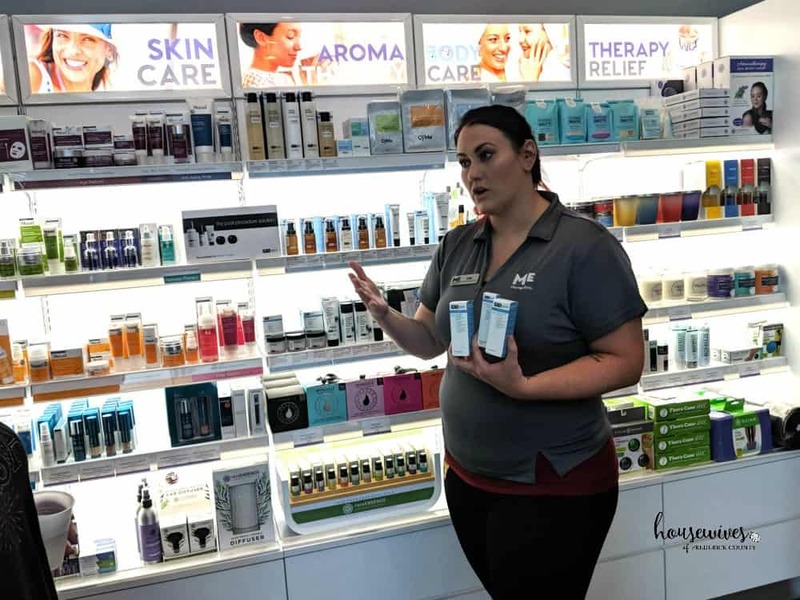 After our visit with Massage Envy Urbana, we were quickly reminded that getting a massage, thankfully, isn’t a luxury anymore; it’s truly a way of maintaining total body wellness. 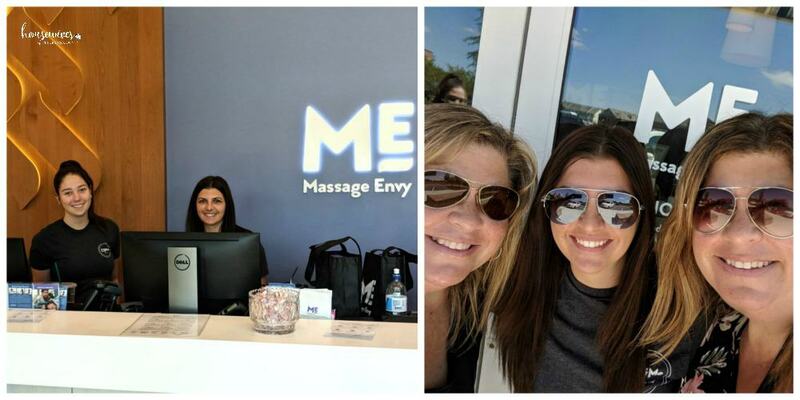 Getting to know Bess and the staff at Massage Envy Urbana was so refreshing! They are all so friendly, down to earth and knowledgeable. 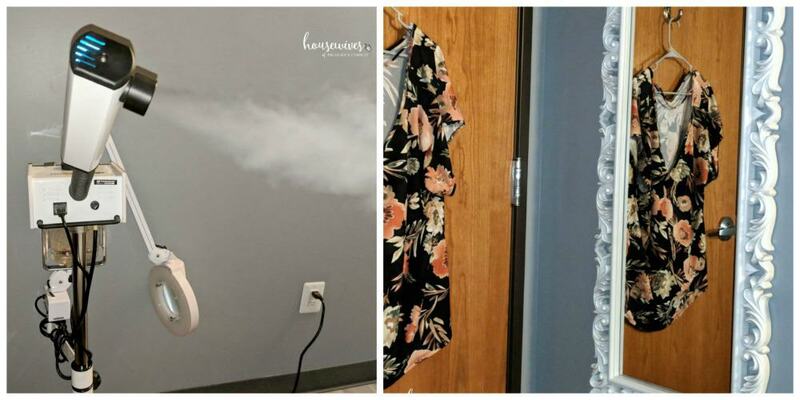 We also loved the fact that at Massage Envy, you can cater your massage or facial to your individual needs, such as adding enhanced therapies like muscle therapy, aromatherapy, exfoliating hand or foot treatments, & anti-aging eye treatment. They even have a couples massage room in case you’d like to bring your significant other, a friend, your Mom, or in our case, your sister, to enjoy the benefits with you! 1. 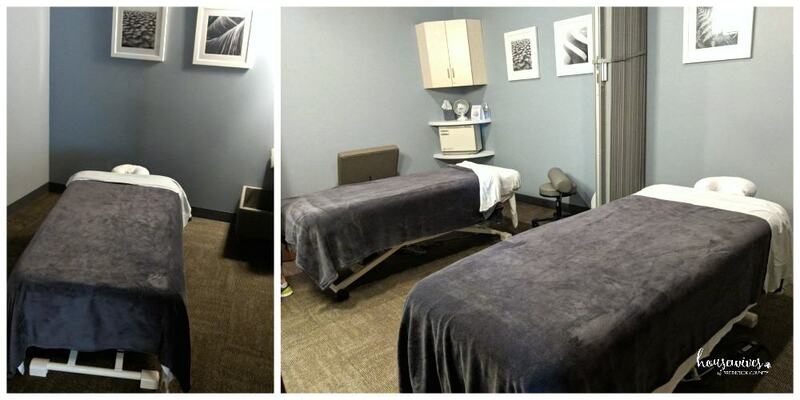 When did Massage Envy in Urbana open its doors? 2. What services do you offer at Massage Envy? 3. What are the certifications & trainings that are required of the massage therapists at Massage Envy? 4. Do you offer package deals for someone who would like to use your services on a regular basis? 5. Are there certain times of year that you offer specials or events? 6. Do you participate with Groupon? 7. What would you recommend to a first-time client before they come in for their first massage? And after they have gotten their massage? After your massage drink lots of water and have a relaxing rest of your day! 8. Tell us some of the benefits of getting massage therapy. 9. Are customers expected to tip? If so, what is the recommended percentage? 10. Describe how Massage Envy differs from other places that offer massages. Or one of our exclusive highly-concentrated antioxidant serums, CyMe Boost (pronounced ‘See Me’) , added to your massage. 11. 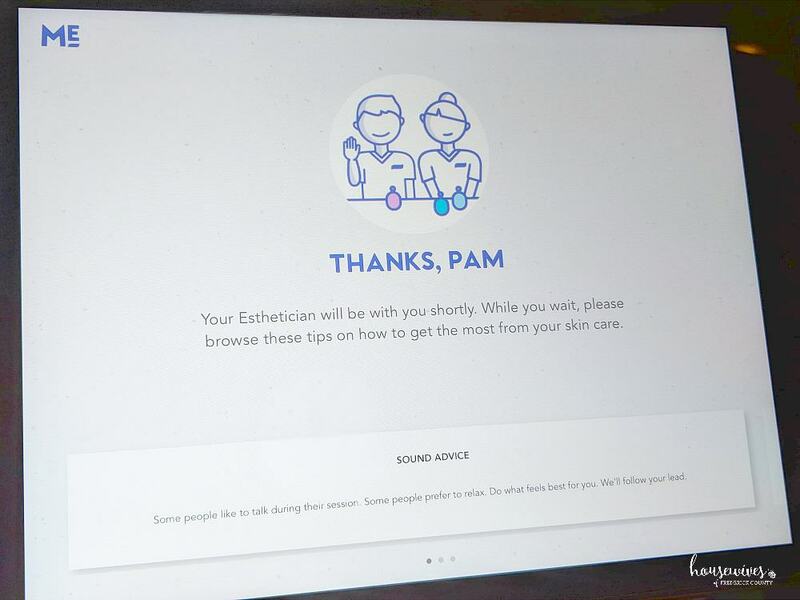 What type of skincare services do you offer? Customizable facials, featuring products from Murad and Chemical Exfoliation advance skincare treatment featuring PCA skin. 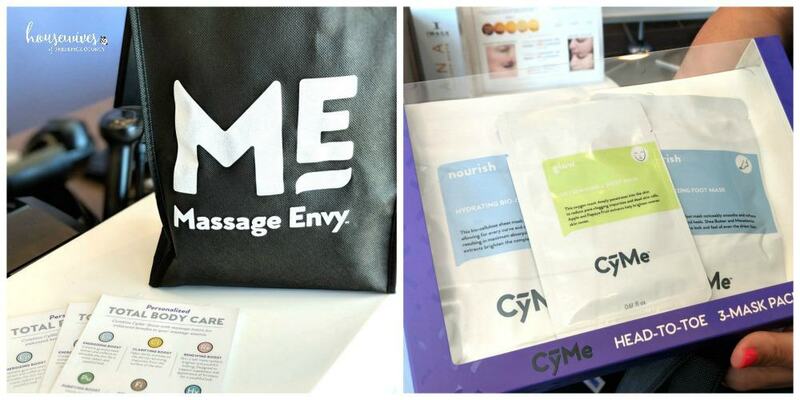 Terri and I got to take home a 3 pack of Massage Envy Urbana’s CyMe Masks. I’ve already used the Moisturizing Foot Mask. It’s fun to put the little slippers over your feet and relax for 30 minutes while the CyMe does it’s work. Slip the masks off and your feet are so smooth! Make sure to enter our giveaway where we will randomly choose a winner to receive one full hour of your choosing: Massage, Facial, or Stretch! All you have to do is comment on this post telling us why you need to win this prize! We will enter your name a 2nd time if you follow Massage Envy Urbana on Facebook. And if you want your name entered 3 times, follow Massage Envy Urbana on Instagram too! The winner will be chosen on Tuesday, September 11, 2018. They are heavenly Christie! Best of luck to you! Ooohhh this sounds wonderful and I’m definitely overdue for some me-time! Love it! 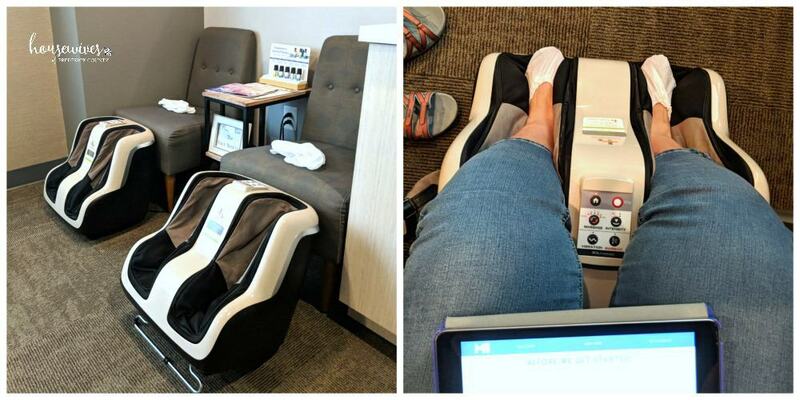 Me time = Massage Envy Time! Best of luck Amanda! I need a massage to rid my body from all the aches and pains that come with half marathon training while trying to maintain a full time job and be a mom to 3 teenagers! Wow! You definitely need a good massage! Best of luck Jill! It takes a special person to be a teacher! Best of luck Pam! As much as I would love/ need some pampering I think my husband deserves it more. Working a full time job he always makes time to help with our children sports activities. He assist in coaching, field maintenance and cheering on the sideline, his nights and weekends are filled. He still finds time for household duties. I’m one lucky lady! Oh my gosh Jennifer! That is so sweet! Your hubby is the best! Best of luck! Wow! You totally deserve this Carolyn! Best of luck! Hey! Big fan! 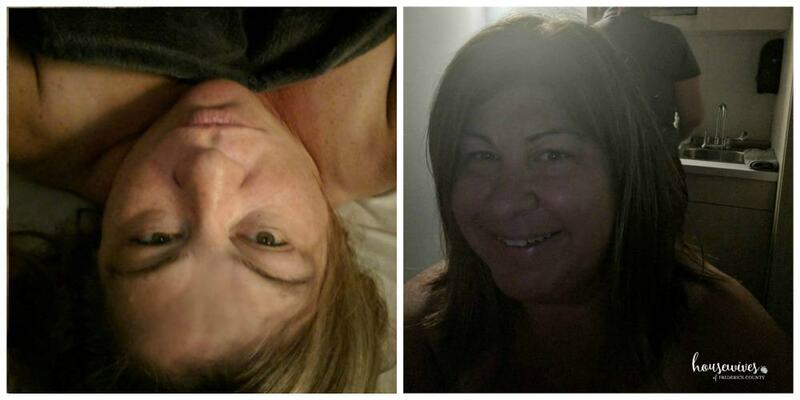 I am entering this contest because I really need some TLC. I work nights and on my feet constantly. I also carry all my tension in my back and neck; when people rub my back they go “wow, you’re really tense..you need to relax.” Relaxing is actually impossible for me and it would be nice to have a professional touch. Thanks for doing these contests! Best of luck Kait! My muscles in my neck and shoulders were very tight too. They were so loose after my massage at Massage Envy! I am a teacher on my feet all day! The stress of the new year is intense. I need a massage! You definitely deserve it Barbara! Best of luck to you! I just moved to Frederick a couple months ago and still feel sore from the move! While a massage would be awesome, I think I need a facial more. My skin has reacted so poorly to the water here, a little pampering for it would go a long ways! We just moved too! It is a never ending marathon of moving boxes. I feel for you! Best of luck with the giveaway! April, You are the winner of the free one hour massage, facial, or total body stretch therapy! Congratulations! Please contact Bess Burnett at Massage Envy in Urbana @ (301) 321-3689. Enjoy!